After a decade of dream chasing, Cefn Fforest’s Robbie Turley (17-6, 3KO) is 36 minutes away from his ambition of achieving of a major domestic belt. The unorthodox box of tricks has seen his fight with Bobby Jenkinson (10-2-1, 2KO) upgraded to a vacant Commonwealth title contest, an honour that was held by the visiting Lincolnshire native until a year ago. Turley has already captured Welsh and Celtic super-bantamweight straps but a shot at belts higher up the ladder have so far eluded him. The switch-hitter, who has been a professional for 10 years, will finally get his chance on Friday 7 April. The bout with Jenkinson will headline Sanigar Events’ Acid Test show at the Newport Centre as part of the Y Ffeit series. Highlights of the main event and undercard will be shown on S4C on Wednesday 12 April. It was initially scheduled to be an eliminator for Gamal Yafai’s title. 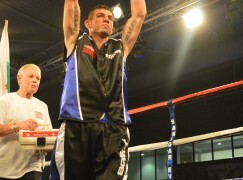 However, the Birmingham banger vacated it, having won by stopping Jenkinson in seven entertaining rounds last year. 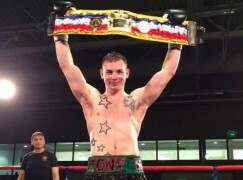 Around the same time, 30-year-old Turley suffered a competitive points defeat to the unbeaten Thomas Patrick Ward in a final eliminator for James ‘Jazza’ Dickens’ British title. 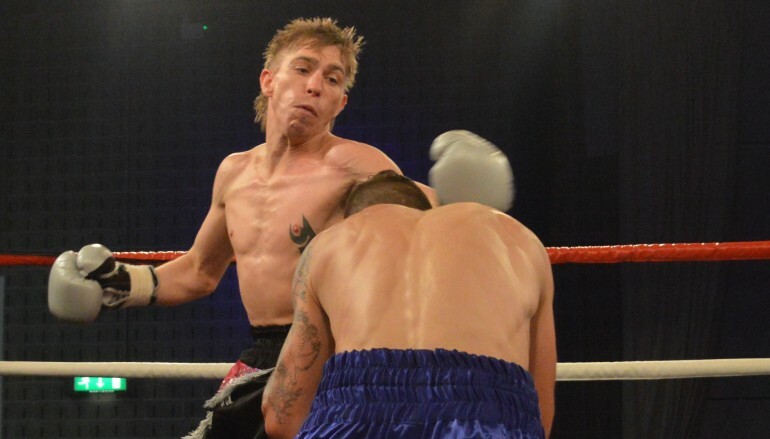 It looked like there were no further significant opportunities on the horizon for Turley, who trains at Tony Borg’s St Joseph’s Boxing Club, but he kept the faith and remained in the sport, rightly feeling he still has plenty left to give. That determination previously saw Turley push future world level star Carl Frampton all the way in a battle for the Celtic title in 2011 and later helped him come through a two-year spell of inactivity due to a now-satisfied medial query. Turley will need those attributes against Jenkinson, who has travelled to away territory to cause upsets in the past. In 2015, the one-time Midlands champion drove down the M6 to London and stopped then world rated Lewis Pettit in 11 rounds. Jenkinson isn’t a heavy hitter but what he lacks in power, he makes up for in pressure and the 25-year-old always initiates the action. Turley, who often controls range with feints and pivots, will have to be fleet footed and fit to shutdown the constant waves of attacks. Neither Turley nor Jenkinson have been very active over the last year. Each of them recorded a routine six round victory over Worcestershire’s useful journeyman Brett Fidoe and patiently waited for their chance to get back in the mix. Their next outing is likely to be far more intense and with their knockout ratios, of 16 and 15% respectively, is also likely to reach the final bell. There’s might not be much between them after 12 closely fought rounds, though Turley can be spurred on by home support to edge a competitive encounter. Promoter Jamie Sanigar originally planned to host the show on Saturday. However, it clashed with Liam Williams’ WBO world Interim title fight against Liam Smith in Manchester and was moved to a day earlier. It will instead clash with the Welsh Championships where amateur champions will be crowned – an unfortunate and unavoidable result of a busy calendar. The undercard includes eight up-and comers. Aberdare’s super-middleweight Morgan ‘Sexual Chocolate’ Jones (9-0, 3KO) is the most established and he will face Harry Matthews (14-23-2, 2KO), who has only been stopped once in nine years. Following the withdrawal of Cardiff’s Rhys Saunders and subsequent collapse of his Welsh title fight, Bridgend’s super-lightweight Richie Canning (5-0-1) takes on the tough Lee Connelly (6-22-2). Cardiff’s Lewis Patterson (3-2, 1KO) will end three years of inactivity against Elvis Dube (7-56-2, 5KO). He challenged for the Welsh super-middleweight title in 2013, being pulled out with a badly damaged right hand after a bright start against Tobias Webb. Patterson’s comeback could put him in the picture for a shot at the Welsh light-heavyweight belt. Barry Town’s Jason Sillett (5-1, 1KO) has recently switched to Tony Borg’s gym and dropped down to super-featherweight following his first loss to Henry Janes in November. He will aim to bounce back against Joe Ducker (1-3-2). Another Barry boy, light-heavyweight Jonathan O’Kelly (1-0), is in action. He will face Poland’s tasty – at least on paper- Jarek Prusak (8-3, 8KO). Swansea’s middleweight Sonny Lee (1-0) also has his second fight. He will be up against the winless Bryn Wain (0-16), who has been halted inside the distance in his last two outings. A trio of debutants complete the card. Lightweights Joe ‘JD’ Jones and Callum Busuttil train together at Jamie Arthur’s base in Rhydyfelin and will fight Fonz Alexander (4-52, 2KO) and Andy Harris (3-43-1), respectively. Newport’s all-action middleweight Daniel Barton will meet Jacob Lucas (0-6-2).